Americans across the country—probably even some of your friends and family—have been cutting the cord to cable television (and other pay-TV providers). The why comes down to some pretty simple facts: cable television is pricey, packed with advertisements and, even with the help of TiVo and other DVRs, it's sometimes still inconvenient to watch our favorite shows when we want to watch them. However, as cord-cutters have found out, it's possible to watch a lot of great television right in our living rooms or on the go without paying nearly as much as you might for traditional pay-TV services. All you need is some equipment—which you might have already!—and the know-how to find your favorite shows. But is it time to cut the cord? Let's talk over your options to help you come to the right decision for your household. What Can (& Can't) I Watch Without Having Cable? You may be surprised at how much many of your favorite shows can easily be found online for free—or at least for less than you pay for cable. 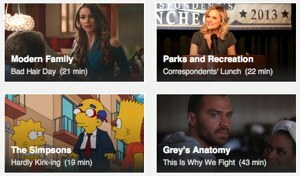 All of the broadcast networks—ABC, CBS, CW, FOX, NBC, and PBS—offer online streaming of most of their shows, though typically shows are only put online the day after they've aired on television. All you need to do in order to watch is fire up your browser, point it to the network's webpage, and enjoy your favorite shows, whenever you'd like. New episodes are typically available only a few weeks after their original air date on the official sites. Big live events, like the Oscars and the Super Bowl, can be hit or miss. The Super Bowl was streamed live this year, but the Oscars weren't. So if you couldn't hook up an antenna to pull in the over-the-air broadcast, you were out of luck. A number of cable networks provide limited online access to their shows, without offering options to stream or buy new content. Most notable among these are premium networks like HBO and Showtime, neither of which offer shows in digital format until well after their original air date. But they're hardly the only holdouts: family-favorite HGTV offers no online programming and the Discovery Channel only offers a mixed bag of programming online. If you—or anyone in your family—is a sports fan, getting away from cable television and its myriad sports networks may seem like a problem. But all of the major sporting leagues provide some kind of access to content online, though it may not be the kind of access you want—and, of course, it comes with a price tag. Football fans are limited in that they can only get audio of live games through NFL Game Access, though they can watch games once they're over in full HD. Prices vary depending on the package and whether or not it's offseason. Baseball fans have it made with MLB.TV Premium, which lets them watch all games in HD from your computer, tablet, smartphone or other connected device for $130 a year or $25 a month. The ordinary MLB.TV service only allows watching on computer and restricts the games you can watch, but costs only $110 a year or $20 a month. For the basketball fan, NBA offers a number of League Pass options, which let you stream shows to your computer or mobile device. Though, to complicate matters, these are two separate subscriptions. The exact cost depends on whether you want to watch on your computer or your phone and how many teams you want to follow, but starts at $25 a month. Hockey fans can get live broadcasts on their television, smartphone or tablet for a scant $50 per season through NHL Game Center. If you're interested in college or global sports, you'll find a limited selection of games on Watch ESPN for free. Bottom line is if you're interested in college or minor league sports, well, your options aren't good. Sorry, sports fans, but if none of the above options fills your viewing needs, staying tied to cable is going to be your best bet. For parents, there are some specifically kid-friendly options in the online arena—however, the options are a long way from being comprehensive. We think these are your best family-friendly bets online. 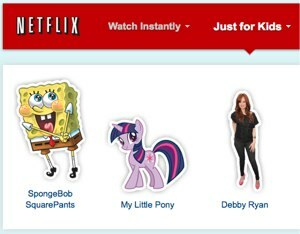 Netflix ($8 per month), the king of online streaming, has a huge catalog of family-friendly movies and children's entertainment—including lots of options from Disney due to a recently inked deal—but it also has a special "Just for Kids" section that you can choose to enter when you launch Netflix. This section shows off only kid-friendly content without letting the little ones wander into anything that might be inappropriate. And we definitely love the way Netflix lets us watch shows without any kind of advertising. If you're not in the "Just for Kids" section—say, you have older children or teenagers—the service also offers parental controls that allow parents to block content over a certain rating, preventing it from being displayed in searches or recommendations, added to viewing queues or being watched. On the downside, however, the parental control settings apply to the entire account: so if Mom and Dad decide to watch an R-rated action movie after the kids have gone to bed, they have to change the parental control settings and then remember to change them back. Unlike Netflix, Ameba TV ($4 a month) is designed just for kids. The online network offers thousands of shows for children aged 3 to 12, and you won't find anything inappropriate here. Ameba can be easily watched online, but you can also get it in your living room if you have an LG Smart TV, Roku, or Google TV. We're sure that you and your kids love the educational shows on PBS—and fortunately, they're all very easy to watch on the PBS website, free of charge. However, if you want to watch content on your television, it's not so easy: some programming is available on Netflix (Sesame Street is notable), but it's a mixed bag. So before you cut the cord, do your homework: look into any show you can't live without watching and then decide whether or not ditching cable is a good option for you. At $8 a month, the king of online streaming, Netflix lets you watch as much of their library as you'd like, from television to movies to original content that you won't find anywhere else, like House of Cards. Netflix doesn't usually have the latest hits, but they have a great selection of older content, both movies and television. And trust us, there's no better way to spend a rainy day than streaming through a half dozen episodes of your favorite television series, on demand and commercial free. At $8 a month, Hulu is the place to be for television lovers. The service offers numerous popular TV shows (and a small library of movies) for streaming online the day after they've aired on television. Some are available for only a month after they were aired, while others will stay on Hulu throughout the season. Though their shows do have advertisements, there are less of them than you'd find watching the show on television—and, of course, you can fire up your favorite show whenever you like. The downside to Hulu is that it's not comprehensive—for example, they offer no recent shows from CBS—so you'll want to check to be sure your favorite is on Hulu before signing up. At $79 a year (which breaks down to $6.58 a month), Amazon's Prime service (which offers free two-day shipping on all Amazon purchases as well as access to streaming television and movies) is the new kid on the block where streaming services are concerned. They have a mix of movies and television shows both old and new, and you'll find some things on Amazon that you won't find on Netflix or Hulu. Again, we recommend checking out their catalog first, to see if they offer anything in particular you want, before subscribing. Both Netflix and Hulu offer free 1-month subscriptions so you can you try them out before making the final decision. This trinity of online content providers is fairly stable—and certainly none of them are going anywhere—but if you're looking for even more entertainment, keep your eye on Redbox Instant. You probably know Redbox as a DVD rental service run out of red kiosks, but they're also aiming to get into the streaming market. The service is currently in testing with a limited catalog, but for an $8 subscription you get access to unlimited streaming plus 4 Redbox DVD rentals a month. With the popularity of Redbox's existing rental service, we only expect it to grow. If you can't find your favorite show—and don't feel inclined to search all of these services looking for it—we recommend the Can I Stream It search engine, which will tell you where you can find most TV and movies online. If none of the streaming subscriptions offer the shows you want, there are more ways to watch—though they will increase the price tag. 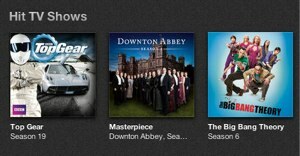 Most television shows and recently released movies will be available for purchase digitally on iTunes or Amazon. For TV fans, they'll even let you subscribe to a show for a flat fee, which will give you a digital copy of each episode (usually the day after it airs) for $30 to $60 total. Though this is pricer than other options, it does allow you quick access to new releases without paying a premium for cable—and unlike streaming options, these shows would be downloaded and available to watch on your phone, tablet or laptop even when you were away from the internet. So should you cut the cord or not? Hulu has deals with all of the major networks (aside from CBS) as well as a number of cable stations to air new episodes of popular shows. If your favorite show or shows are available on Hulu, you'll find they're available quickly and with fewer advertisements than you'd see if you watched them on television. If your favorite shows aren't on Hulu, you might still weigh the cost of subscribing to a season on iTunes or Amazon against your cable bill. But if your favorite show isn't available anywhere right now (and you should check before making a decision), you'll want to stick with cable. Netflix (and, to a lesser extent, Hulu) has a great backlog of older movies—but don't expect to find new releases without ponying up to buy them on Amazon or iTunes. If you love watching the latest as soon as it's available, cable networks like HBO may still be your best bet. If you enjoy movies that aren't quite as recent, though, Netflix offers a lot of bang for your buck. There are some great online streaming options aimed at kids from Netflix and Ameba—and the advertising-free children's programing you'll find on both are a definite benefit. But many streaming options are targeted towards the adult market and, aside from Netflix and Ameba, have limited parental controls—so be sure to investigate before letting your kids run wild with any streaming service. If the available options have content you're happy with, they're great—but if the kids (or you!) are going to demand something they won't find there, you're just asking for an unhappy household. Baseball fans will love the instant access they get on MLB.TV. But other sports offerings are lesser—and football fans are almost guaranteed to be disappointed by the NFL's audio-only offering for live games. If baseball isn't the sport of choice for your family, you might want to keep your cable service for the sports options. What Do I Need to Watch Streaming Media in my Living Room? If you're going to take the plunge, the next question is how to watch it. While watching your favorite shows on your laptop isn't bad, it would really be better to use the HDTV you probably already have in your living room. Fortunately, you may already have something in your home theater that will let you stream content directly to your television! Smart TVs: Most Internet-enabled Smart TVs will support streaming services like Netflix and Hulu as well as buying or renting digital content from Amazon or iTunes. Check with your television manufacturer to find out what exactly is supported. Blu-ray Players: Internet-enabled Blu-ray players will, like Smart TVs, support a variety of digital content providers. Check with your manufacturer! Game Consoles: The Xbox 360, PlayStation 3, Wii and Wii U all support Netflix and Hulu, as well as a variety of other streaming providers. 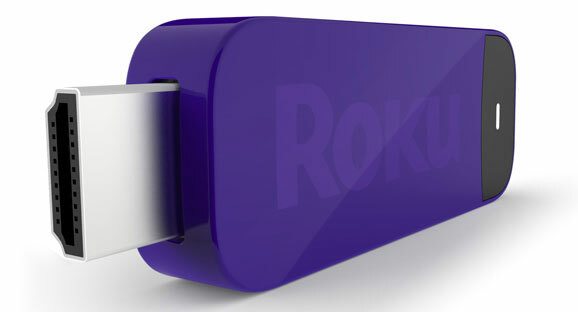 Roku: The Roku is a small device that plugs into your television and opens up a world of streaming and digital media options. Starting at $50, the Roku is our favorite way to get content from the Internet to your television. Apple TV: Though Roku has more streaming options, Apple fans may prefer the Apple TV. Apple's streaming media device offers Netflix and Hulu as well as easy access to content on iTunes. 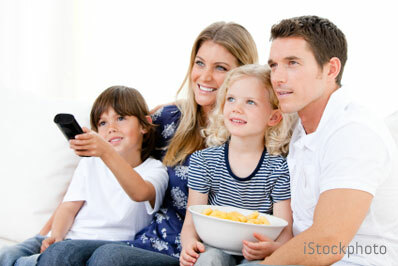 And with AirPlay, it's easy to view content from your Mac, iPhone or iPad on your television. Starting at $99, it's not as economical as the Roku, but won't break the bank. Trading cable television for streaming media can be a bit daunting—but navigating the world of streaming media is gradually getting more straightforward, and if the content you love is available for streaming, it might make financial sense to make the move. Once you've set up a streaming device in your living room with services like Netflix and Hulu, streaming services are easy enough for anyone to navigate. On the downside, the content available varies and you may not always be able to find just what you want. With the number of options the various services have, we're confident that you'll always find something worth watching. Whatever your choice, happy viewing! Part of owning my own biz is cutting expenses, and cable wasn’t in the program. 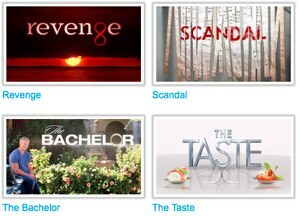 Aereo works for major networks and some independents. Netflix/Hulu plus are fine too. Less money; less crap to watch, it’s all good. Laptop to TV - audio? We have a Roku, but many things (Comedy Central), aren’t available through it, including free Hulu. I hooked up my laptop with the SVGA slot, but how do I get the audio to come from the TV instead of the laptop(not loud enough)? The VGA input has a single slot audio connection, do I have to buy a set of speakers for this? Running a cable from the headphone jack on your laptop to the audio input next to the VGA input on your TV should work. Unfortunately, to stream Hulu to devices other than a computer, you need to be a Hulu subscriber (for $8 a month). They do have a selection of Comedy Central shows, though! As of january you can watch comedy central. I watch colbert on hulu. You can buy cable that will have one end that plugs into your headset output on the computer. The other end will plug into the auxiliary audio in on the tv. for audio, you’ll want either an hdmi connection (best) or a 3.5 mm audio cord from the headphone (out) port on the laptop to the audio in on your tv. you’ll then open up audio options on the laptop and select the appropriate device to push to. Yes, it should, but the VGA input on the tv has only 1 audio input. We tried one from Radio Shack that had 2 audio inputs. We returned it when it didn’t work, and they said the only way was to get a pair of speakers? A couple things to test if it still isn’t working. 1) plug headphones into your laptop to make sure you’re getting sound out. 2) Check the settings on your TV for sound inputs. It’s hard to give specific advice on settings because every laptop and TV model is different. But I’ll bet the correct cable will fix things. I think you are underselling the value of a simple $20 digital antenna for over the air hdtv broadcasts. You get the major sports (incl NFL), shows and events like the oscars and it’s free and HD. Thank you, Joshua - I didn’t think Radio Shack guy was correct! I’ll give it a try and, thanks for link? Great piece, Liz! When we cut the cord a couple of years ago, the biggest benefit for my family of five was saving up to $100 in Verizon Fios fees per month. In place of cable, we started watching Netflix, Hulu, Ameba, and other streaming services on our Roku, laptops, smartphones, and tablets. Then football season crept up and my boys whined enough about not being able to watch practically every NFL game live. So we caved and latched back on to overpriced cable. In the meantime, I got hooked on HBO’s Girls series, which I watch via HBOGO on my laptop and iPhone. Now that the NFL season is over, I’m going to cut the cord once again, though, let HBO and Girls go and start putting the money we’ll save toward a new hypoallergenic mattress for my son. Spending on fancy cable packages drains my wallet way too much. Sorry, cable, but we are breaking up again! My boys will just have to deal with NFL Game Access (thanks, Liz, for pointing this option out) and whichever games get picked up by the networks (and by our bunny ears). Cable, I think it is safe to say that we are never, ever, ever getting back together. My husband loves series on HBO - this is always the killer for pricing. HBO and I think a couple of others, are bundled together and we have to pay additionally for them. Is there any alternative for HBO besides buying a full package? HBO has some of the worst digital options of any television network—they really want you to pay to subscribe in order to watch their programming. If you’re willing to wait, you can buy full seasons of HBO shows digitally on iTunes or Amazon, but only after the season has aired. (Usually around the time the DVD comes out.) If you want to watch it as it comes out, subscribing to cable is your only solution for now. “Can I Stream It” did not offer a selection of sources. For example, it found NCIS and immediately offered downloads at $1.99 per episode. It’s not a real search engine! Can I Stream It doesn’t, unfortunately, check network sites like CBS.com where you can watch recent episodes of NCIS from your web browser. However, it is accurately telling you that NCIS isn’t available on streaming services Netflix, Hulu, Amazon Instant, Crackle, or YouTube, but you can buy episodes digitally for $1.99 each from places like iTunes and Amazon. The toughest part about switching to streaming media is how hard it is to find what you want to watch; even the search engines aren’t perfect. I can’t believe u left off nfl Sunday ticket for football. Pricey but for football fans u’ll pay. TV.com app (not sure if its also a site) works on iOS devices for next day free viewing of ncis etc. buying episodes is best thru amazon as it works on browser, video game consoles, iOS and android devices, kindles etc. also if u really want hbo but can wait one day split the cost of the subscription with someone who has cable and use hbo go. Can also be done with watch espn, TNT,tbs iOS apps. I have been cable free for a year now. I have ota antenna ( which is better had then cables) hulu amazon and Netflix (roughly 24 bux) monthly. I can view it on the go or at home. I tried all other video on demands ( iTunes, buds, amazon, etc) amazon is as good as iTunes but plays well with others. 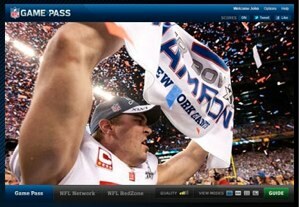 Yes, NFL Sunday Ticket is available on PS3 for those not subscribing to DirecTV. U can also get it on iOS devices. Not to mention nfl on verzion for only 5 bux a month. Unlike with PS3, you need a DirecTV subscription with NFL Sunday Ticket Max to watch on iOS, Android and other mobile devices. I agree that cutting the TV cable is doable, but the problem is that without cable, there is no internet in my area. I am too far too get dsl. TW then charges more for internet, so by the time I add the $8 here and there, I am almost at the cost of what I am paying now. I have recently ditched the cable installed an outdoor rooftop antenna at my house. We are getting 20 free TV channels including all major networks, NBC, ABC, CBS, PBS, CTV, CBC and a bunch of independants. All the TV I can stand to watch that’s for sure. This is truly crystal clear HDTV. The cable providers compress their signals to reduce bandwidth but over the air signals are uncompessed, the best possible digital signal. You can have unlimited bandwith unlike internet TV (in which you pay for bandwidth). Not free, because you had to buy and install an outdoor rooftop antenna on your house. And you’ll have to maintain the antenna and wiring for as long as you use it. First, I don’t watch much TV anyway. More channels, more junk. DVDs are my preference. Third, my old computer is not good at streaming anything. Can’t afford a new faster one; although when XP is no longer supported by MS, I guess I’ll have to get a new one for Windows 7. We have no pay TV service, never had in 33 yeqars together. Right now in OKC there are more stations than one can watch. Anymore we watch the rerun channels, ThisTV and MeTV, we watch very little on the main networks. I have an outside antenna, the has bee in use for the many years we have been here and before. I have said before and continue to say that when the pay tv providers allow me to select the channels I want in my package, then we will talk subscription. In the meantime, we will go on like we are. Not every ISP allows access to ESPN3 as theyare the ones paying for it. We found that out last baseball season, when we wantto watch one at my Father-in-law’s place and found ou that Century Link does not have access to ESPN3 like AT&T does. We also do not have a “smart TV” Sony does have an accessory that could be added, or some other thing could be used, such as a laptop, Roku box, etc. My son had bought a Roku box for me, but we decided we wouldn’t use it enough to justify the cost. He even gave us access to his Netflix, but we haven’t used it either. We use a laptop hooked to the TV with an HDMI cable, sound and picture in one cable. If the VGA cable is used, a separate sound cord is requires, as has been mentioned before. We have used ESPN3 to watch college basketball and MLB, and for the post season MLB.TV We do not watch NFL games at all, or the Super Bowl, nor even college footabll. Football, soccer, golf, car racing, boxing, et al are not sports we are interested in. you actually can get hulu and youtube and comedy central and tons of other content via roku, using PLEX. it’s free. that’s not even the real selling point for plex however, what made it the killer ap for me was easy local media streaming. no need to reencode, no need to do anything except put media into the appropriate folders (tv and movies mostly) then it plays easily through your roku. spec 7 bucks on a vpn, 7 bucks on netflix and you’ve got all the content you could ever want. Common sense central? What about VUDU, and if the same stuff on Netfix is on Amazon. The techies need answers. make sure you check your data cap and switch netflix streaming to good. or else you are screwed and will burn all your internet home data. I cut the cable cord, kept the internet and phone. Bought a Roku and Netflix and started streaming. My new bill was supposed to be 1/2 of the cost of cable. Now it’s almost the same amount as having the cable because of the Internet data transfer usage from streaming. How do I get around this? You said switch netflix streaming to good? What does that mean? 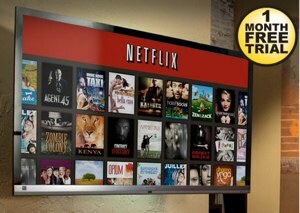 This article tells you how to downgrade your Netflix streaming quality to use less data: https://www.techlicious.com/tip/stream-watchable-video-with-a-slow-internet-connection/. But I’m curious, what ISP do you have that is capping your data and charging you for overage?